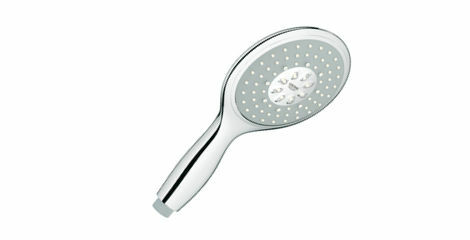 Enjoy a personalized and luxurious shower experience every day. 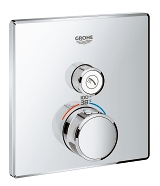 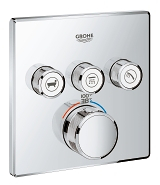 The innovative GROHE SmartControl technology lets you choose the outlet, the water flow and temperature as desired. 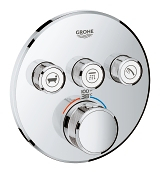 Operation is simple and easy for the whole family – simply push to start and stop, then turn to adjust the water flow. 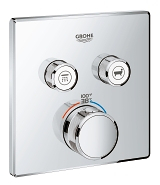 With its unrivaled sensitivity, the GROHE TurboStat® technology delivers water at the desired temperature within a fraction of a second – and keeps it consistent for the duration of your shower. 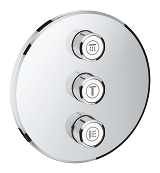 The Power&Soul 130 Hand Shower - 4 Sprays (27 673 000) is the recommended hand shower accessory to compliment your SmartControl shower system. 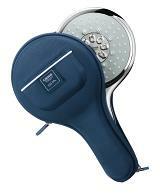 Ultimate enjoyment is guaranteed with the Veris shower head. 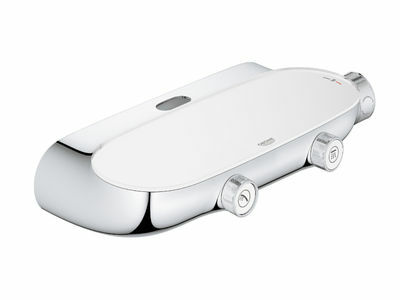 The lozenge has 152 nozzles and covers your entire body. 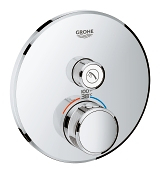 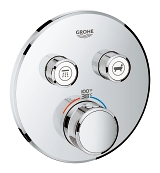 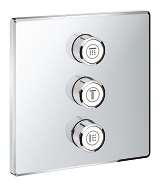 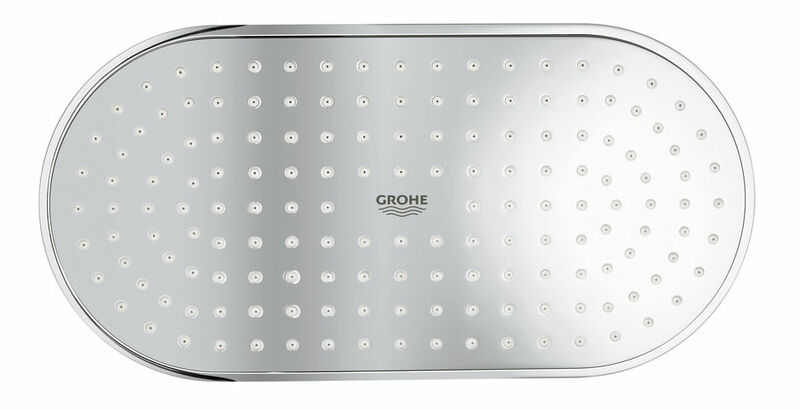 Discover Rainshower SmartControl in our GROHE bathroom brochure.